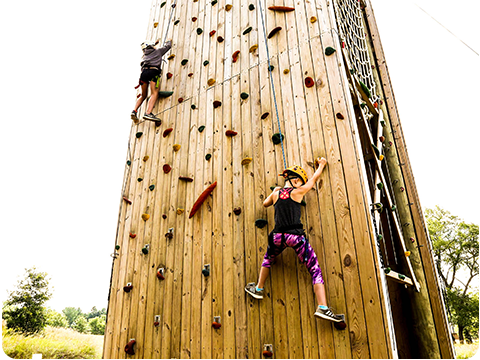 Whether you're looking for a daring adventure, a bonding experience, or a quiet weekend in the woods (or any combination of the three), we've got you covered! 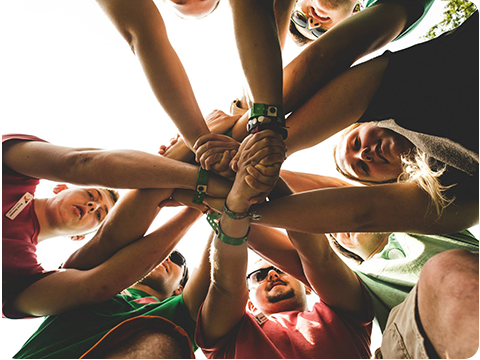 YMCA Storer Camps gives your group the opportunity to grow together in a natural setting with the help of our year-round professional staff. 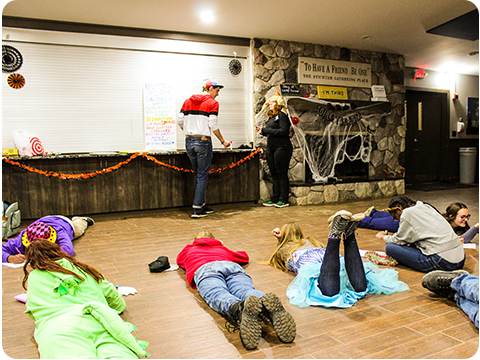 Our staff will work with you to create a customized retreat to help reach your group's goals. We offer full programming, partial programming, and no programming options, so you can run your own weekend, sit back and let us take the reigns, or find the perfect balance in between. Our team offers activities that promote learning, team building, personal development, and just plain fun. We also provide meal service year-round, prepared with healthy living in mind, to make sure you have the energy to tackle your goals. 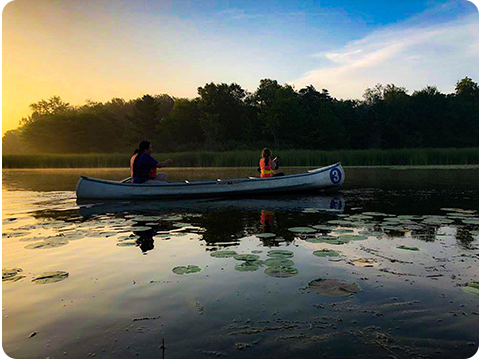 You can schedule a retreat today and get more information about pricing by filling out the form at the bottom of this page, calling our office at 517.536.8607, or by emailing Madeline at mlombardo@ymcastorercamps.org. Our activities range from high-energy adventures to thought-provoking educational experiences. Our staff are trained professionals who have experience working with different groups and dynamics, and are comfortable with adjusting things to make sure our activities are perfect for your group. 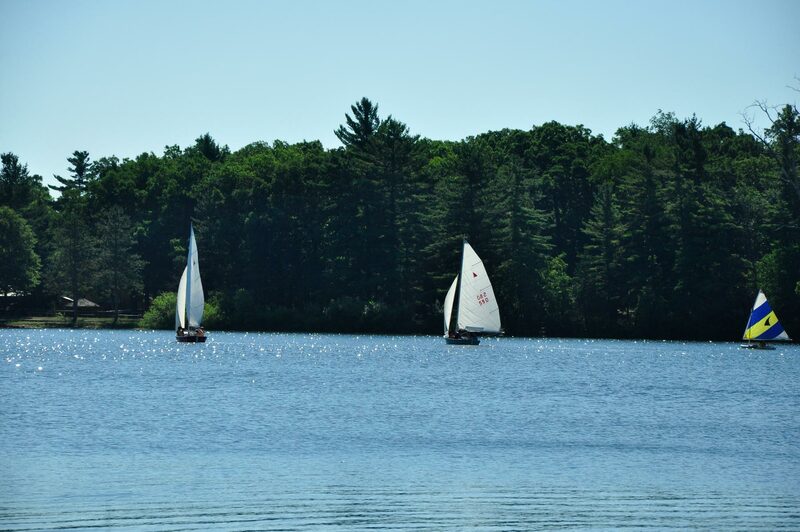 Below are a few lists of day-time activities that are typical to our retreat programs. Be aware that some activities cost extra, and some are weather/season-dependent. This list is constantly changing, and doesn't necessarily include everything we offer, so feel free to ask for more options or explanations of activities. If you have an awesome idea for an activity we're happy to work with you to make it happen if we can. We also offer horseback riding and equine learning programming, with different levels based on age group. For more information about our equine programs, check out our equine page. We offer three different types of housing to our guests. Each one serves your group in different ways. 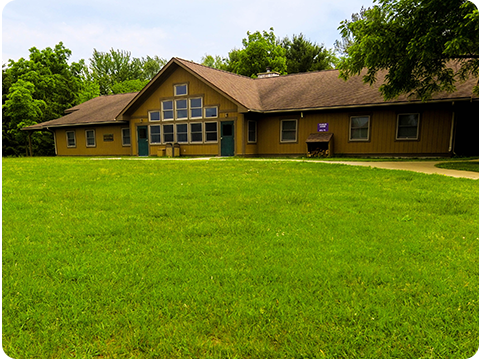 Every style of housing is subject to availability depending on when you come to camp. Our rustic cabins allow you to enjoy a classic camping feel while still enjoying some of the comforts of the modern world. Rustic cabins are heated and have lights and electrical outlets, and are available year-round. Each cabin sleeps between 8 and 14 people. 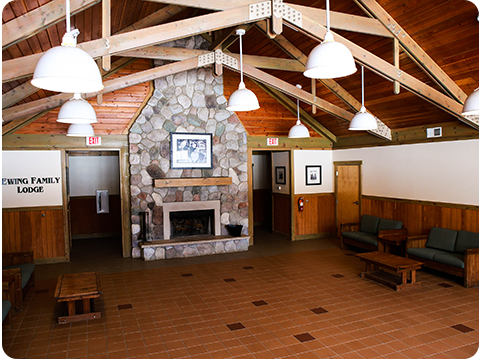 YMCA Storer Camps has 4 modern lodges that offer heat, air conditioning, electricity, showers, bathrooms, and a common space with a fireplace. Each lodge has 4 units that each sleep 14 people, for a total of 56 people per lodge. We also offer several rooms of premium housing. Premium accommodations are hotel-style and include linens and towels. Premium housing space is limited. Every group needs space to give presentations, play games, grow closer, or just sit and relax. We offer breakout spaces for both overnight and day groups to give your group the room it needs to achieve your goals. We also provide equipment like chairs, tables, and projectors as needed. One of the easiest (and coziest) places to meet is right outside your door! Those staying in modern lodges have access to the common rooms in those lodges. They include a fireplace, couches, and coffee tables, and we can provide chairs and tables so you can customize the space however you'd like. 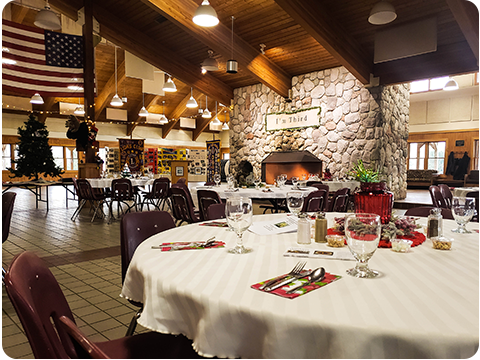 Our largest indoor space is our beautiful Malachi Dining Hall. The room can be divided up in multiple ways so you can utilize the space to fit your needs perfectly. Over the years Malachi has played host to everything from youth group game nights, to show choirs, to professional conferences. The room includes a built-in sound system with wireless mics, hook-ups for microphones, musical instruments, and more. The Doc Miller Learning Center is a premier professional retreat location. Those familiar with camp will recognize the building as the former north center dining hall and north center classroom. The building was renovated in 2015 and is now features 2 gorgeous rooms with a rustic feel and professional finish. The main room has space for around 100, and is perfect for day groups and retreats alike. 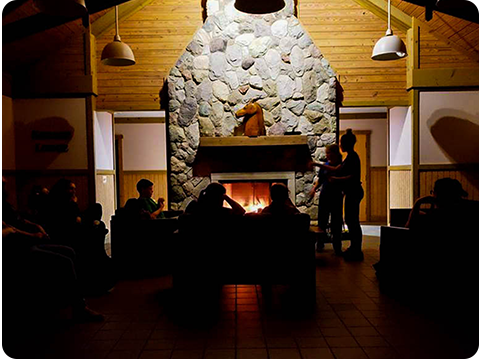 Findlay Lodge is nestled back in the Frontier area of camp, for those looking for a secluded and rustic feel. The building features modern amenities and a kitchen that can be rented. With close access to our marked trail system, Findlay Lodge is also perfect for groups that would like to get closer to the natural world. 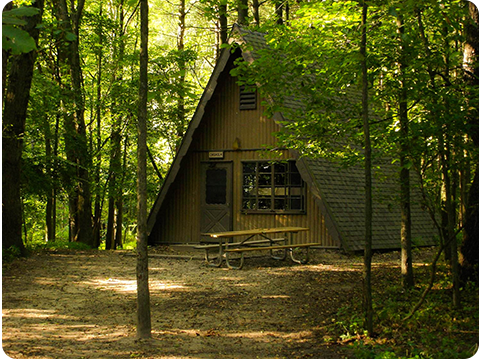 Findlay Lodge fits around 100, and is ringed by one of our sets of rustic cabins. 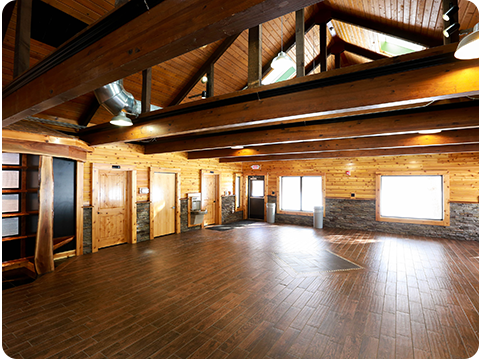 YMCA Storer Camps boasts 2 large chapels that can be used as outdoor amphitheaters for a variety of events. Both chapels have bench seating and a staging area; the north chapel features a fire ring. Both chapels are located in wooded areas and face beautiful Stony Lake.